Film and Media students from Brockenhurst College spent a week in Los Angeles recently to experience the glitz of the entertainment industry at first hand. During their visit the group were taken on VIP tours of historic studios belonging to the likes of Warner Bros and Universal Studios. They also explored locations used in blockbuster films including La La Land, Transformers and School of Rock. 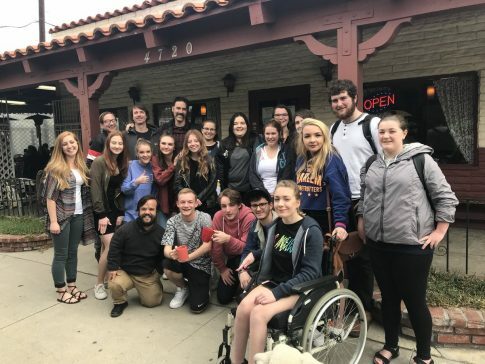 While in LA, the students and staff bumped into some big stars such as actor Jeff Daniel Phillips, Pancho Moler, and lead singer of Coldplay Chris Martin. 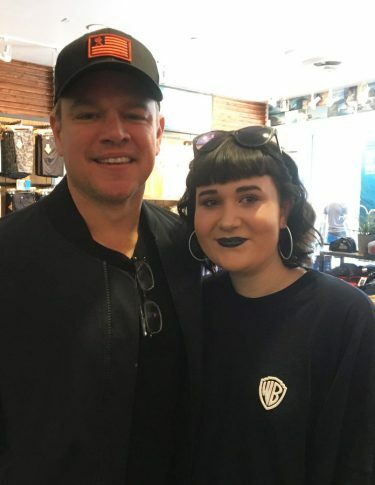 They even managed to chat to and take photos with actor Matt Damon after he sat down beside them in a breakfast bar. A highlight of the trip was visiting the Oscars where they caught a glimpse of celebrities walking down the red carpet ahead of the 90th Academy Awards ceremony. This is the seventh year the College has run the trip, having successfully taken over 250 students to LA to supplement their A Level studies.